Friday night I saw Inception with a big group of friends. I've been wanting to see this movie for however long, and quite frankly, had hoped it would be the movie that saved summer. Now I get to judge for myself. To get a really great view of Leonardo, Ellen, Joseph and all the other cast members, we saw Inception at the IMAX. Whoa! What a huge screen! Let's get on with it, shall we! Inception is the story of a man (DiCaprio) and his teammates, who are all trained in the art of extraction--going into someone's dream in hopes of stealing a secret from their mind. 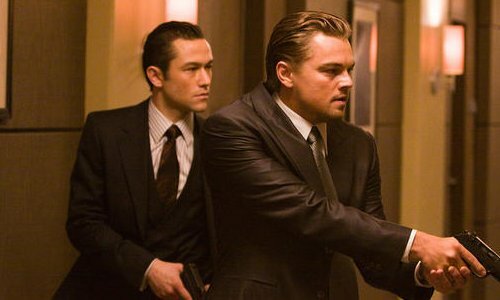 A botched job and past problems lead DiCaprio and his friends on a mission to form inception--going into someone's dream in hopes of placing an idea into their head. They find that the dream world is undeniably less predictable than the real world, full of surprises and maybe even quite dangerous. As the characters delve deeper into their dream states, it becomes harder to determine what's real and what's simply a dream: like The Matrix but with a Christopher Nolan twist. 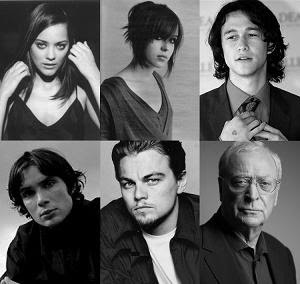 The acting was great because the movie had a remarkable cast. The imagery was amazing too. Go see this movie because it's super interesting, highly entertaining and, frankly, the best movie of the summer (Toy Story 3 is a close 2nd though). Be sure to keep a totem on hand just in case you get caught up in the dream.<--you'll get that when you see it! P.s. Thank you all for the advice on tinted moisturizers. I think I'm going to make the switch! i wannaa see this because im obsessed with leonardo. glad to hear your review. DH gave it a thumbs up for a movie to go see. Thanks for the review! Thank you for this! I was wondering if it was going to be good... I am definitely going to see it! I really was expecting to be disappointed, but I wasn't. I might as well join the band wagon and like Leonardo, as much as I say I don't like him I have liked pretty much every movie he's made. He's definitely good. I saw Inception too, I thought it was good as well! Great review! I gave you an award on my blog, so check it out! I can't wait for it to come to Spain. By the way, I'm out for a month and your blog is suddenly... I can't even describe it, but is GREAT! I love it. I am SO psyched to see this flick! 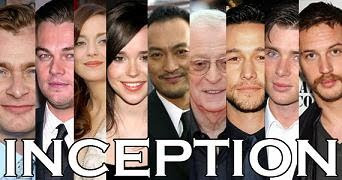 Wow...I have really heard a lot of inceptions reviews and most of my friends are recommending it. Now that I have read your review...this made me want to watch it eagerly. and thank you for visiting my blog and for comment as well. Great review. Thanks for sharing your views with us. I really want to see this film. I saw this movie in the drive-in Saturday night! I totally agree with you that it is one of the best movies of the year. I love movies that really make you think and this was definitely an amazing mind-bender. Plus, it's refreshing to see a movie with an original plot these days. Lol. ohh love your review! Yeah that was a great movie eh? I loved how when the car was flipping in their dreams the hotel room lost gravity too. I'd so see that movie again! This movie is still not released in the Netherlands, but it will this weekend I think!! Really really want to see it! !